Splendid® is a high-end lifestyle brand that sells sustainably sourced clothing and home textiles from stores across the nation. Their “casual but polished” brand personality fits perfectly with the luxury shopping experience that is Fashion Island, located in the high-profile, yet eco-conscious Southern California neighborhood of Newport Beach, California. 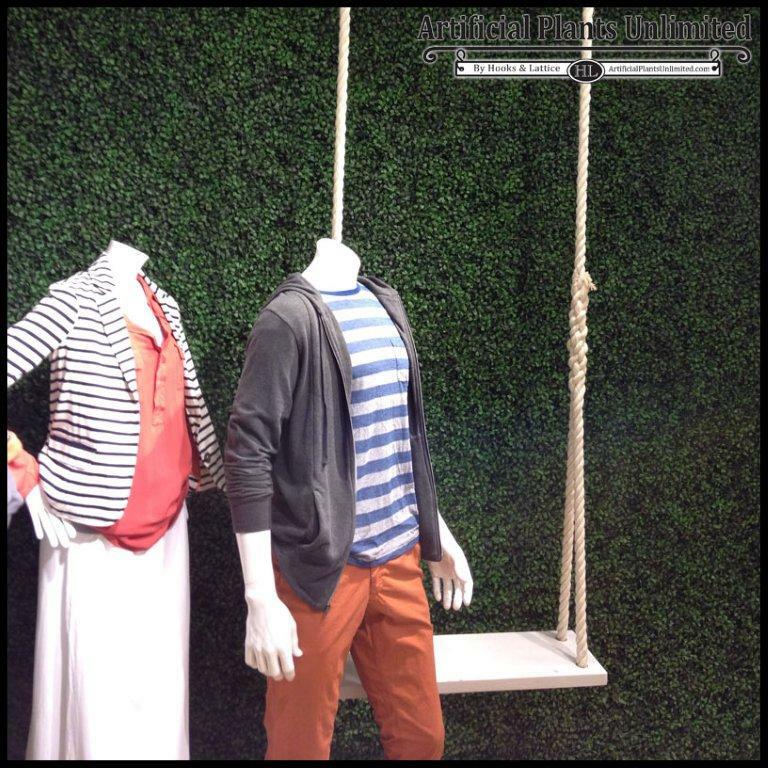 That’s why when they came to us to create a design accent for their Fashion Island store that was all at once “green” and low maintenance, we suggested our artificial living walls. The result? A modern wall accent that matched their brand, and one that added color, texture, and a conversation piece for all who visited. 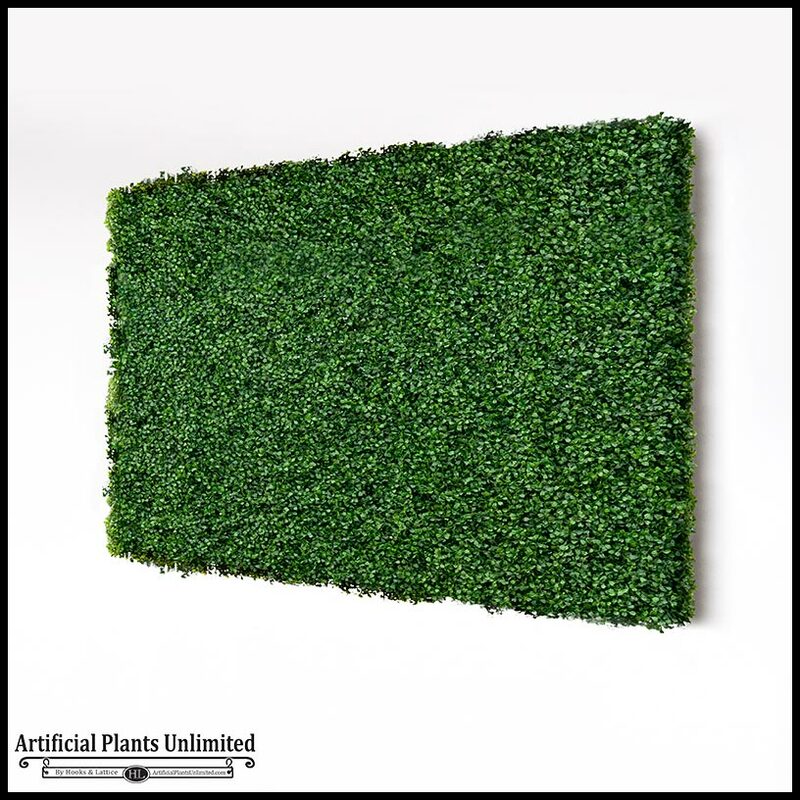 Made from realistic-looking faux boxwood and constructed on a sturdy, powder-coated iron frame, our artificial living walls are better than the real thing. Why do we say that? Because unlike real greenery, our faux greenery stays the same vibrant green as the day it’s installed, and all without any watering, trimming, or other maintenance. That means no wilting, withering leaves or brown spots or leaking water. Just fresh greenery that endures the seasons and any type of climate with style. Where Will You Use Your Artificial Living Wall? 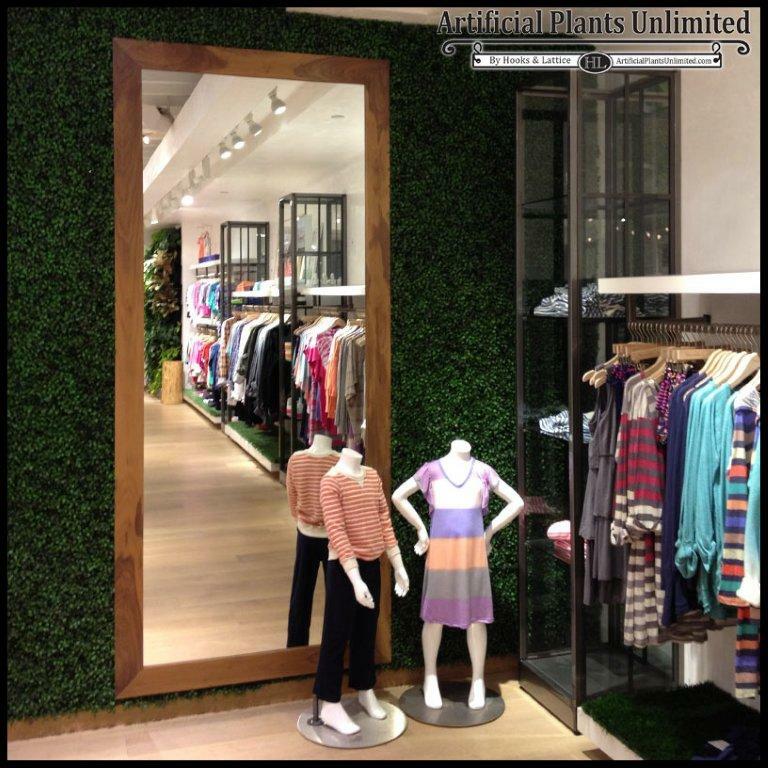 From living wall rolls to custom sizes and cutouts to artful plant mixes, our living walls are meant for every space and every design theme! 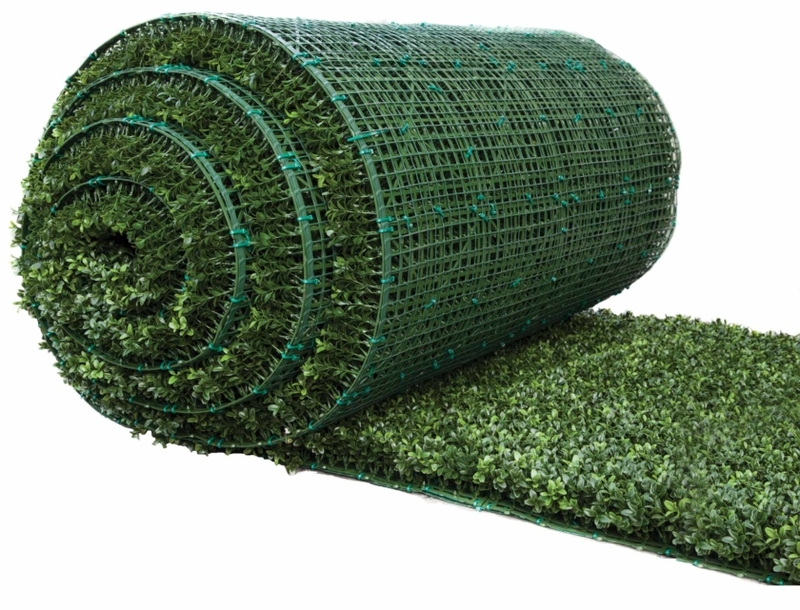 Find out how we can add no-maintenance greenery to YOUR space by calling us at 1-888-320-0626.